--- Paul Krugman, Kolumnist der New York Times und bekanntermaßen kein Freund von Bush, bespricht zwei Bücher, die sich mit der Bush-Familie, ihren Netzwerken und Verstrickungen mit dem Cheney-Imperium etc. auseinandersetzen. Ron Suskinds Price of Loyality ist bereits hinlänglich bekannt, wenig Aufmerksamkeit erfahren hat dagegen Kevin Phillips Band American Dynasty: Aristocracy, Fortune, and the Politics of Deceit in the House of Bush. 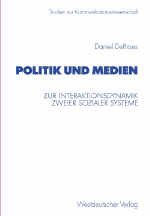 Darin geht es um an unusual and unflattering portrait of a great family (great in power, not morality) that has built a base over the course of the twentieth century in the back corridors of the new military-industrial complex and in close association with the growing intelligence and national security establishments. Krugman kommt zu folgender Schlussfolgerung: For four generations the Bush family has thrived by exploiting its political connections, especially in the secret world of intelligence, to get ahead in business, as well as exploiting its business connections, especially in finance and oil, to get ahead in politics. And whatever the public and the pundits may have thought about the 2000 election, for the Bushes it was a royal restoration. Viele Details dazu im Artikel.